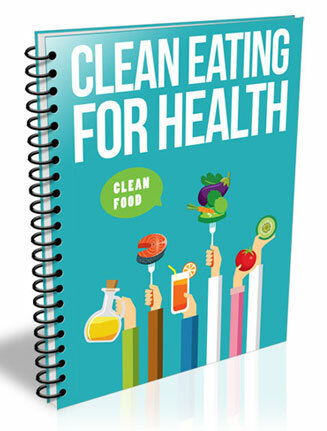 Clean Eating PLR Report is a great way to build a list in the ever popular healthy eating and diet niches. Private Label Rights Included. Miscellaneous Graphics: PSDs for cover, in 3D and flat. As I am sure you now, clean eating has become a very popular topic in recent years. It’s really not surprising with so many people around the world wanting to eat healthier. Here is your opportunity to get into this profitable niche the quick and easy way. 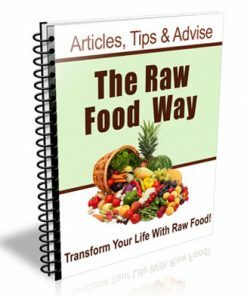 You’ll be getting a fresh report on the subject that is perfect to use for content, or better yet, it can be a great give away report you can use to build yourself a list in the clean eating niche. Or use it as content for an membership site. Clean eating diets are a very popular trend these days. And for good reason. They focus on replacing unhealthy foods, such as processed foods, with fresh, whole alternatives. Processed foods have often lost much of their nutritional value in order to make them last longer or taste better in the first place. Not only that, but processed foods may also contain additives or preservatives that have a negative impact on your health with regular consumption. The idea of eating whole foods to stay healthy was certainly not new, it gained it’s popularity in 2007 when the popular Eat-Clean Diet Book was published by bestselling author and fitness model Tosca Reno. The book detailed a “eat-clean” diet which she created in order to get in shape for a bodybuilding competition. 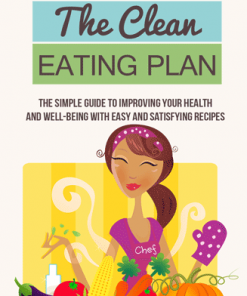 The popularity of the book has lead to ten more titles in the Eat-Clean series being published. The first step to take, in order to eat a more clean diet is to cut out sugar as much as possible. Eating sugar or foods that contain high-fructose corn syrup, on a regular basis, can lead to weight gain and diabetes, and other health complications. Taking sugar out of your diet completely won’t be an easy task. Most every sweet, processed snack food on the market includes some sugar. Some more than others. But, when you’re in the mood for something sweet, instead reach for some fruit rather than candy or sweets. Vegetables can also be a healthy alternative. 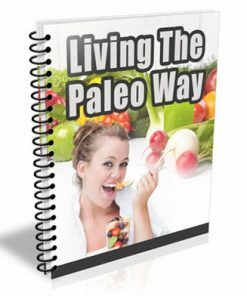 You’ll also be getting a brand new eCover we created completely from scratch just for the clean eating plr report product. You won’t find it anywhere else but here, so grab it NOW to have the exclusive. I’ve even included the PSD’s for the new cover in both flat and 3D, so you can change, edit or brand it any way you want or need. Finished 3D version comes in JPG and in 5 different sizes. There are even 2 flat versions. You can use the product to collect email addresses and build your list in PDF format only. This is the only way that you can give them away for free.